In 2013 we received 39,037 calls for service. 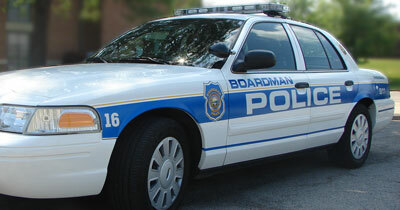 The dispatch center has state-of-the-art technical equipment designed to assist us to provide the citizens and visitors of Boardman Township with a safe place to live, play, work and shop. The dispatch center is manned by 10 full-time and two part-time call takers who are highly trained in emergency/non-emergency call taking, multi-tasking and problem solving, as well as other duties. 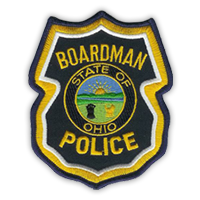 The Boardman Police Department cannot function effectively without the assistance of concerned, responsible residents. We are depending on YOU to call and tell us whenever you see suspicious persons or activity. Some residents fail to call the police simply because they are not aware of what seemingly innocent activities should be considered suspicious. Others may recognize suspicious activity and be hesitant to call for fear of being thought of as the neighborhood “busybody.” Yet others assume that someone else has already called the police. Call the police immediately about all suspicious activity — and do it yourself. Don’t worry about “bothering” the police; it is part of our job to investigate suspicious matters. Don’t worry about feeling embarrassed if your suspicions are wrong; think instead about what could happen if your suspicions are right and you don’t call. While it may seem like you are being asked many questions, the information is for the safety of the responding officers. The dispatcher is attempting to gather as much information about the situation as possible so that the officers will have a clearer picture of what they may encounter when they arrive. Please remain calm and cooperate with the dispatcher.